You can freely define the appearance of the toolbar by simply changing its parameters (color, font, borders, padding, position, background image, etc.). The component supports several button types (image, text button, two-state button, select box, slider, input box, and others). Toolbar buttons can be aligned either on the left or on the right side of the toolbar panel. dhtmlxToolbar can be easily integrated with other components of the DHTMLX product line (such as Windows, Layout, Accordion, and Tabbar) with just a single script command. It can also be used with dhtmlxGrid as a paging bar. dhtmlxToolbar is available in the Standard Edition only. You can use dhtmlxToolbar for free under GNU General Public License v2, or Free License that allows you to use the component in a non-GPL application/website. Open Source - GPL v2 - Allows the use of dhtmlxToolbar	in open-source, GPL-ed projects for free. Free License - allows you to use dhtmlxToolbar in non-GPL, commercial projects for free. 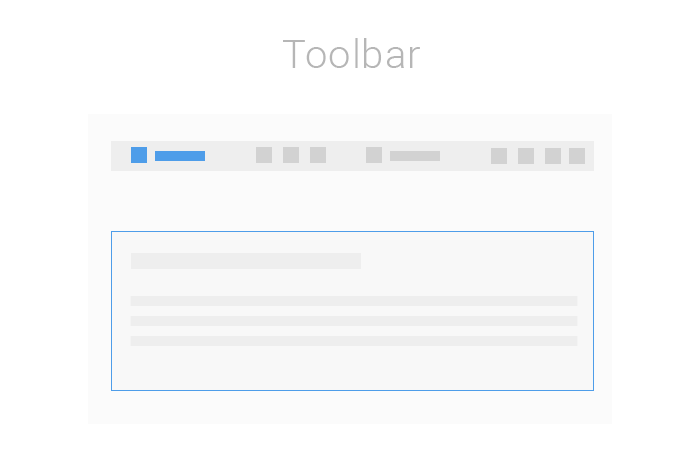 All Toolbar features are accompanied by an online sample. Our detailed documentation can learn how to use Toolbar and effectively implement it in your own applications. It provides the detailed information regarding each aspect of the widget.